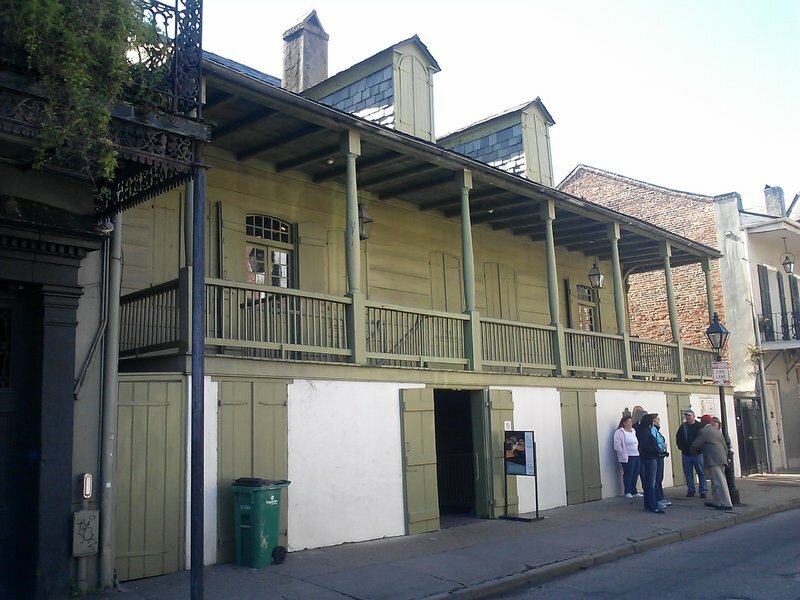 Madame John’s Legacy at 628-632 Dumaine Street is often considered one of the best surviving examples of French Colonial architecture in the French Quarter, even though the existing structure wasn’t built until 1788. The lot was developed by the 1720s, and a building at the location was burned in the great ‘Good Friday Fire’ of 1788. After falling into disrepair, the extant structure was donated to the Louisiana State Museum in 1947, and it remains a museum to this day. The building’s name derives from the famous short story “Tite Poulette” by George Washington Cable, and while the “Madame John” from Cable’s story was fictional, it is possible Cable drew inspiration from past owners of the property. An early owner of the property, Captain Jean Pascal, was killed during the Natchez Revolt of 1729, and his widow Elizabeth Real maintained the property for 50 years, using it as both a residence and an inn, through her remarriage to Francois Marin, and till her death in 1777. The property was purchased by Spanish officer Manuel DeLanzos in 1783. DeLanzos was responsible for the 1788 rebuilding, apparently in a style similar to the structure that was damaged or destroyed in 1788. The site has been subject to three excavations, the first of which was conducted in 1971 by Dr. J. Richard Shenkel and students from the University of New Orleans. Dr. Shenkel’s investigations were intended to help understand the construction chronology of Madame John’s, and they identified what appeared to be earlier French Colonial construction episodes that did not match the present building footprint. Dr. Shannon Dawdy directed the second series of excavations in 1997, mostly in the courtyard to the rear of the main house. 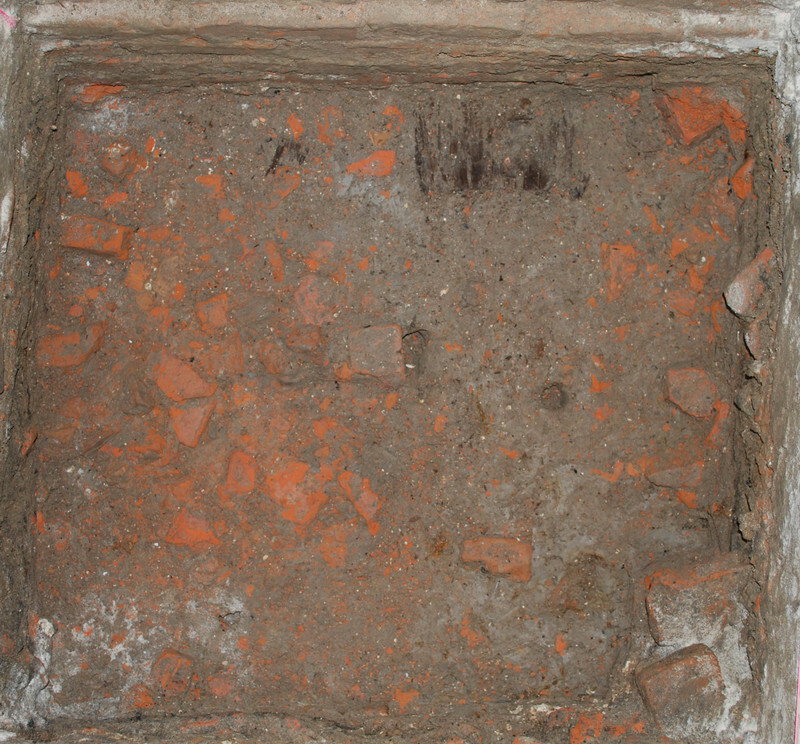 A trash pit filled with debris related to the 1788 fire was uncovered. 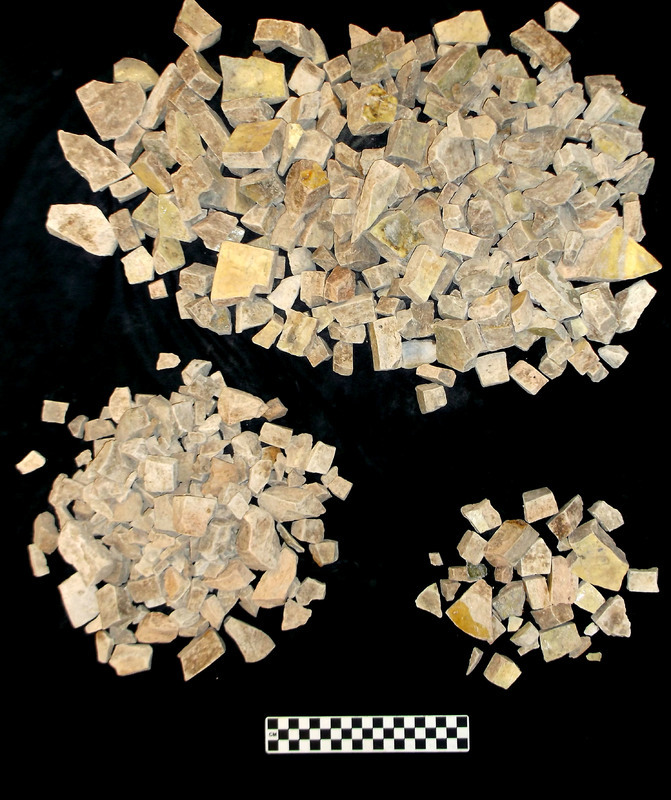 It included both well-preserved faunal remains and an abundance of burned creamware tableware, imported from England. 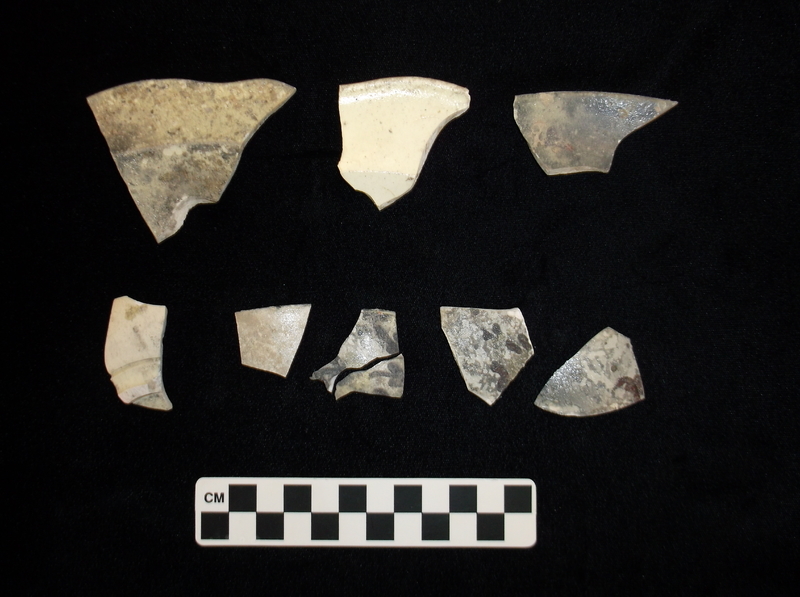 It also contained an unusual amount of hand-built pottery, presumably of Native American manufacture, including a possible Creek Indian vessel. These wares may reflect DeLanzo’s position as Intendant at Mobile, when he would have been deeply involved in Spanish-Indian diplomacy. 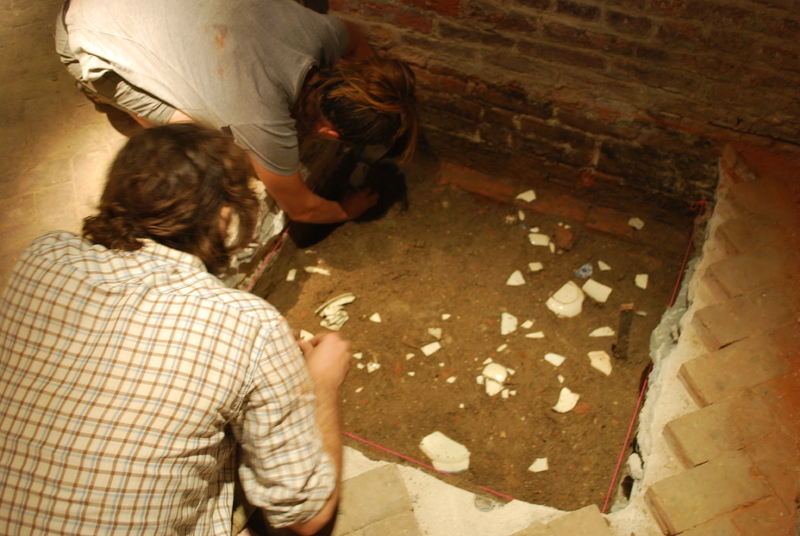 Dr. Ryan Gray conducted the most recent excavation in the Summer of 2013 in the interior of the building, as part of a broader project to evaluate and conserve its historic brickwork. Even within this framework, several fascinating features were recovered including remains of a French Colonial structure and a dense lens of debris from the 1788 fire, probably representing the ‘in situ’ collapse of the pre-1788 structure’s lower level. 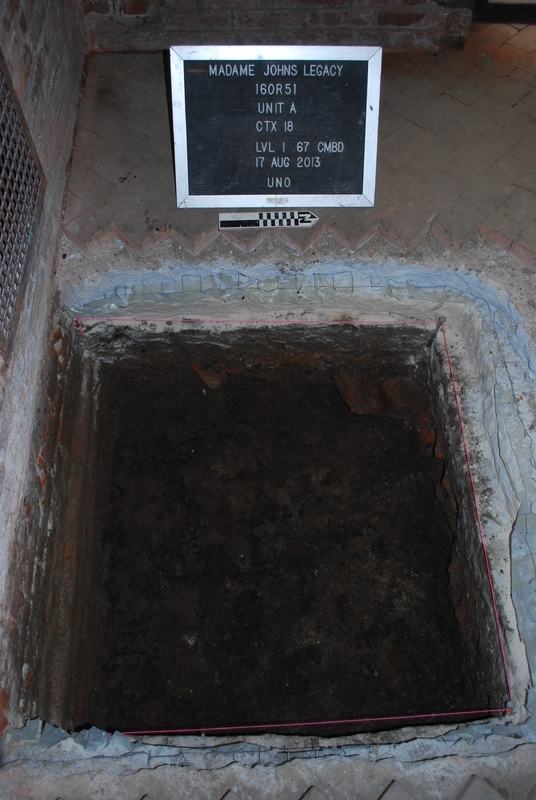 Taken together, the data from these three excavation efforts at Madame John’s, along with historical documents from the period of DeLanzos’s ownership (1783-1813), may give insight into the nature of urban slavery in this era. DeLanzos and his wife were involved in numerous transactions involving the sale and purchase of enslaved individuals. By comparing the distribution of artifacts in the interior of the house at the time of the 1788 fire, with those from the courtyard, more likely associated with the detached kitchen and presumed living area of those enslaved at Madame John’s, one may get a sense of the ways in which these social worlds were interlinked. The material remains and surviving documents serve as a reminder that slavery was not solely rural and plantation based. Author: Jacob Hoewt and Editor: Gretchen Byers, Charlotte Willcox, and D. Ryan Gray, “Madame John's Legacy,” New Orleans Historical, accessed April 24, 2019, https://neworleanshistorical.org/items/show/1254. Dawdy, Shannon Lee. Understanding the Cultural Change through the Vernacular: Creolization in Louisiana. Society for Historical Archaeology, 2000. Gray, D. Ryan. 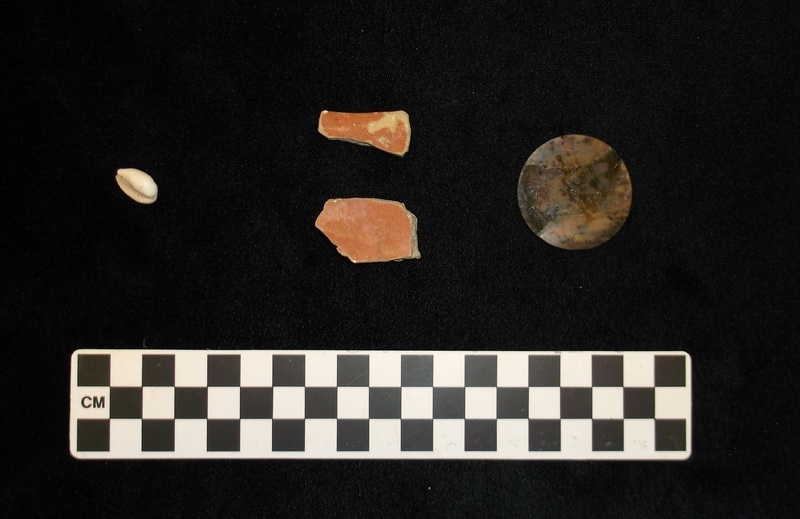 Untangling the Strands of Creolization in an Urban Household: Recent Archaeology at Madame John’s Legacy Site (16OR51), New Orleans, Louisiana. 2015. Louisiana State Museum. Madame John’s Legacy. Vieux Carré Digital Survey. 628-632 Dumaine St.